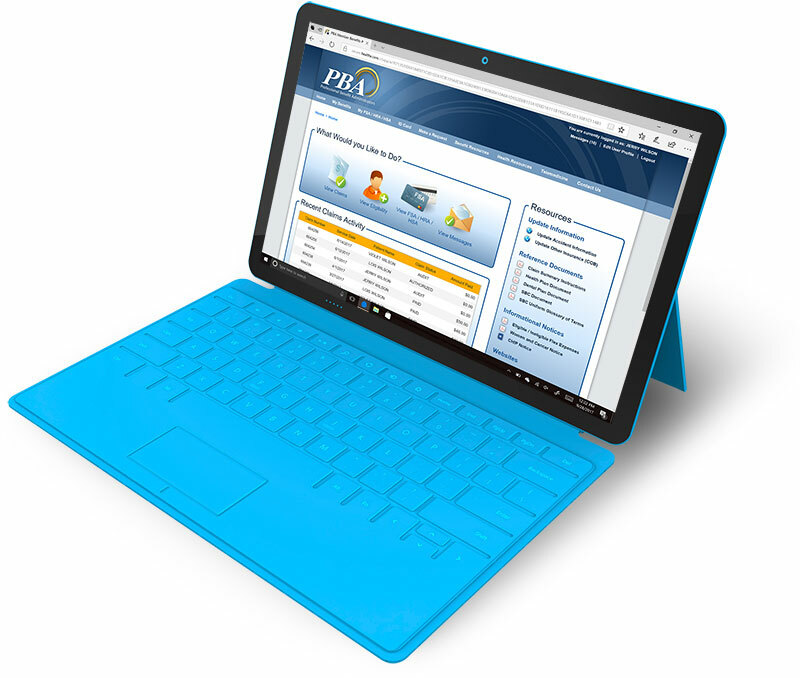 PBA's mobile-friendly benefits portal website gives users 24/7 access to their eligibility information, claims, ID card, benefit forms, FSA/HSA/HRA account, and a secure way to contact our customer service team. 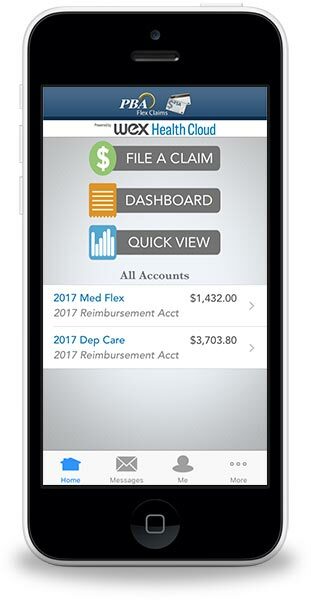 Plan members with a Flex, HRA, or HSA account, PBA Flex Claims provides a way to manage their reimbursement account from any Android or iOS powered device. Users can view account balances and claims, can submit new claims, and can submit receipts for existing claims. Users can also authorize disbursements to providers directly from the app.